In the engineering field, we always intend to produce very precise metal parts. 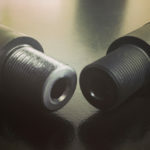 But in some situations, it is very difficult to produce the required metal parts with the help of our regular methods. Hence, in the difficult situation, powder metallurgy is used. In the powder metallurgy, precise metal parts are formed with the help of the metal powders. Well, that look quite interesting to form the metal parts from the powder. The Powder Metallurgy is also abbreviated as the “PM”. In this article, you will see sometimes PM instead of the powder metallurgy. This process is mainly used in the production of the unique metals like Tungsten Carbide. Can you guess the exact year in which the powder metallurgy was discovered? Well, it seems very tough for us to know the exact year. It is observed that this metal production process was invented in the ancient time. But people started using this method in the 19th century. Lets discuss each one of them in details. In this method, production of the powder plays an important role because without the formation of the perfect powder, this process cannot be proceeded further. While producing the powder from any material, the required size of the powder is the most important thing that you have to note down. Crushing, Grinding and sometimes even electrolytic deposition are the processes which are used in the production of the powder. High temperature reduction is carried on the carbides and nitrites of the titanium, calcium, thorium, niobium, etc. to produce their corresponding powders. The most common technique for production of the powder from the material is by the atomization. In the atomization, the material is converted from the solid state to its molten state. Then, the molten state of the metal is passed through the orifice like structure shaped thing under the high pressure. As this molten material is passed through the orifice with a high pressure, a turbulence is created which in turn result into the formation of the powder and the gas particles. Later, the gas particles and the powder are separated. Do you know that there are three types of atomization processes? Well, these three include: liquid atomization, gas atomization, centrifugal atomization. 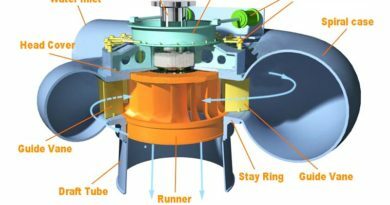 The only downside of this atomization process is that sometimes it is very difficult to pass certain molten material through the orifice like structures. In such cases, the size of the resultant powder gets restricted. Sponge Iron process is referred to as the most highly used method of powder production after the atomization. Do you have any idea about this process? In this process, the powder is produced with the help of the solid-state reduction. First of all, the mixing of the magnetite ore is takes place with the lime as well as coke. And this entire mixture is taken into the Silicon Carbide Retort. Now, this retort is again heated and subsequently the mixture in the retort is reduced which in turn results into the formation of the slag. In the last step, the whole retort is then emptied and the iron sponge which is in reduced format is separated from the formed slag. Crushing as well as annealing of the iron sponge takes place to form the powder of the given material. Though this is one of the most highly used powder production methods, it has some disadvantages. Sponge iron process leads to the formation of the powder which contain small grains of non-uniform shape. So, such non-uniform shaped grains can lead to the difficulty in the entire process. Centrifugal Disintegration is another popular method to make the powder from the given metal. The metal which has to be powdered is first converted into the rod like structure. Then, this rod is placed into the chamber which contains a spindle rotating with a high speed. As this spindle has two tips, the one tip of the spindle is used for producing the necessary arc which will melt the rod. As the spindle is also rotating with the high speed, it throws the molten droplets of the rod at the walls of the chamber. But before striking to the walls, these droplets take the solid form. Now, the gas is circulated which takes does the work of separating the powder from the chamber. Well, there are many other methods of the powder production but these three are most prominent techniques. Some of you may have a question like which is the best method of powder production in the powder metallurgy? Well, the best method depend on the size as well as the nature of the powder that you want. Hence, on the basis of the required powder, one of the powder production methods are chosen. Mixing of powder is done by taking into consideration the resultant part that is to be formed. This process is carried out at the room temperature and it takes moderate amount of time. The third step in the powder metallurgy is the compacting or the powder compacting. 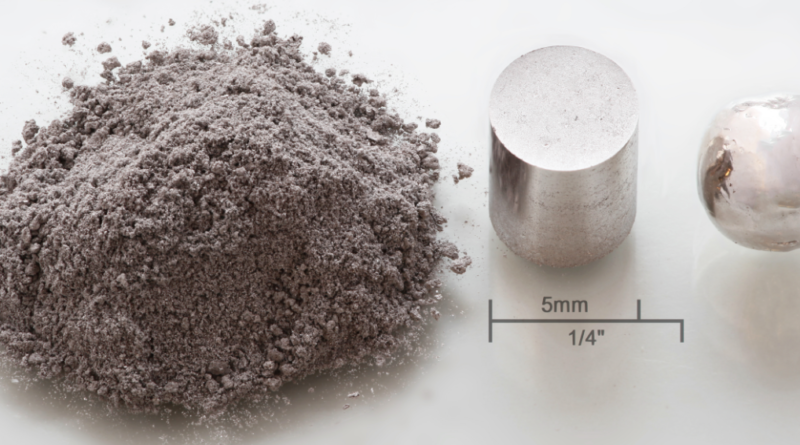 In the powder compacting, a high pressure is applied to compact a metal powder in a die. In this process, as high pressure is applied to the powder, the density of the powder changes. The common pressure of 0.5 MPa to 7 MPa is maintained during this process. For metal powder compaction, the pressure ranges from 150 MPa to 700 MPa. In the first step, the die cavity is filled with the powder. In the second step, the compaction of this powder takes place. During the third step, the lower punch is used to compact the powder. In the last step, the remained compact is removed from the upper face of the die. In the sintering the formed compact (which is also called as the green product) is heated below its melting point in the suitable temperature for a specific time and in the presence of the suitable gases. The main purpose of the sintering is to remove the lubricant and to form the lubricant and to prevent the oxidation. Following table will give you an idea about the temperature required during sintering for various materials. After sintering, the produced part has to go through the various secondary operations in order to produce the final and finished part. All the secondary operations are necessary as they produce a finished product as well as they improve the properties of the part which is formed after the sintering. So, let’s have a close look at all the necessary operations which are involved in the PM. After the sintering process, the required part that is to be formed is sized properly. Both the sizing as well as coining processes are carried out in the high-pressure conditions. To get the most accurate dimension of the formed part. It is not that easy to get the part that has the most proper dimensions and that meets the manufacturer requirement. But both these process does this work and satisfies the outcome. To get the more strength in the formed part. As both these processes, are carried out in the high-pressure conditions, a part with the greater strength is formed as well as the lucrative surface finishing is achieved with these processes. Forging is another important secondary operation involves in the PM. If you are designing the component or the part which you will use as the component of the jet engines or the turbines, the forging is done on the sintered parts. The main intention of the forging is to get the better dimensional tolerances. Apart from these better dimensional tolerances, the attractive surface finish is achieved by the forging. If you want the parts that have to remain under the high stress condition then, the forging is must for you. If you consider the sintered part, then it has various pores. In the process of the infiltration, the pores of the sintered parts are filled with the help of the material that has very low melting point. Due to the infiltration, the strength as well as the hardness of the sintered part enhances. Here, the metal part that filled inside the pores, infiltrates the pores with the help of the capillary action. For the infiltration of the iron, metals like copper are used. Do you know which material is used for the infiltration of the bushes? Well, bushes require the material which has low frictional properties and hence, lead is used in such cases. Along with the strength and hardness, the density of the sintered part is also enhanced with the help of the infiltration. Let’s move towards the next secondary operation involved in the powder metallurgy. The additional properties of the sintered parts are improved by the impregnation. In the impregnation, the sintered part is kept in the oil or grease for some time to get the required results. For instance, the sintered bearing is impregnated by placing them in heated oil with the 30% of their volume. As we know that finishing is the most important aspect in the formation of any product, all the finishing techniques are also applied to the sintered parts. These finishing processes include: plating, burnishing, colouring, coating, etc. The sintered parts are coated in the plating. The sintered parts may go through the process of corrosion resulting into the destruction of them. So, to avoid the interaction of the sintered part with the corrosion as well as with the other atmospheric gases, they are coated by the various metals. In the plating, you can use copper, nickel, zinc, chromium as well as cadmium to plate the sintered parts. Colouring is especially done in case of the sintered parts of ferrous. As ferrous can be easily get corroded, it is very essential to colour them. Ferrous parts are coloured and saved from the corrosion by blackening them with the salt bath. Burnishing is the technique where you do the hardening of the finish surface to make it more usable and to improve its lifetime. Some of the times, it may happen that you will not get enough strength of the sintered parts that you want. The failure in the PM process results into the lack of hardness of the sintered parts. And the best way to make the sintered parts harder is to heat them properly. Heat treatment is the most conventional methods of hardening and it is highly used in the powder metallurgy. So, these were all the additional operations that you have to carried out on the sintered parts. Cost Effective: If you consider the mass production with the powder metallurgy then, it is the best metal production technique. Good surface finish: There are only few metal production techniques that gives rise to the good surface finishing and the powder metallurgy is the one name among them. As the best surface finishing is the outcome of this method. This method removes the limitations of the specific metal or non-metal powders that you can sue for the production of the metal. 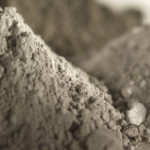 Highly efficient: The number one reason why people prefer the powder metallurgy is nothing but its greater efficiency. This method leads to the loss of very small amount of the material. Most automatic: You can easily do the automation of the powder metallurgy. As it is flexible to automation, the cost of labour is saved. You can’t produce the parts which are bigger in size with the help of this method. Another disadvantage of this method is that you cannot produce the parts that are more uniformly dense with this technique. The metal powders that require during the early stage of the PM may have a higher cost. As you require various tooling equipment of high cost, sometimes implementing this process may need a higher capital. The parts produced with this method have lower ductility. It is not suitable for the powders of the zinc and tin as they give the low melting powders. Powder Metallurgy find its application in the automobile industry. 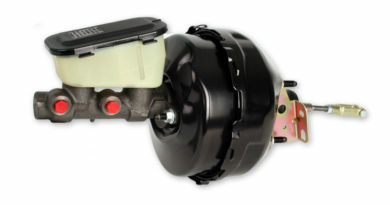 You will be amazed to know that 15 Kg of the PM parts are there in a normal car in the United States. After the automobiles, the powder metallurgy is used in the aerospace industry. Thus, powder metallurgy is one of the important and highly used metal production methods. Its significance and impact on the engineering cannot be neglected. We are sure that this article had helped you in gaining deep knowledge about the powder metallurgy. Share the article maximum, if you really liked it! What is Case Hardening and How it is Done? 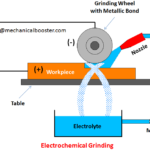 ← What is Electrochemical Honing? 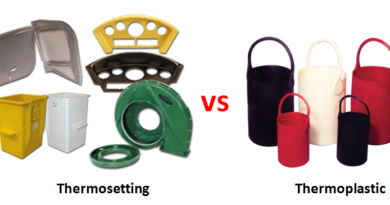 Types of plastics – That You Must Know?